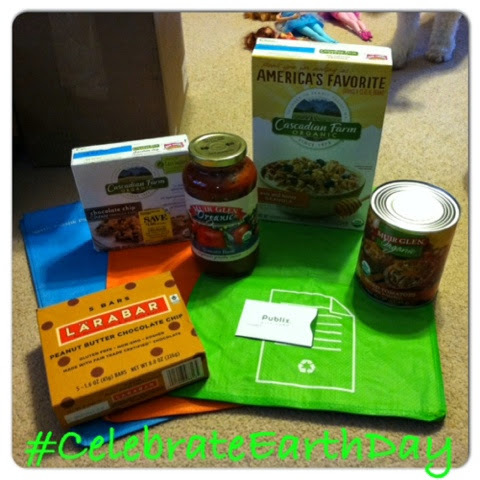 Celebrate Earth Day with General Mills by incorporating new environmentally-friendly practices into your daily routine, like bringing reusable bags to the grocery store or other “green” initiatives. Starting today, you can find great savings on brands like the Cascadian Farm, Larabar and Muir Glen, available at Publix. Be on the lookout for the “Happy Easter” Advantage Buy flyer in stores! - $2/2 Cascadian Farm Frozen Organic Fruit, Vegetables or Potatoes 8-16 oz. If you’re a fan of Larabars, you’re not going to want to miss this deal that you can grab for the next few weeks at Publix. Print your coupons and stock up while you can get this price! As low as $0.72 after coupon! What are some great ways you are looking to save this Earth Day?